Thank you to everyone who contacted the council, showed up at last night’s council meeting, and lent support for the adoption of the Bicycle Master Plan in other ways. In the end, the council, though unanimously in favor of the plan, decided to issue a resolution acknowledging the acceptance of the plan but delaying formal adoption. The rationale for doing so was based on procedural concerns. Although the plan was created with oversight from engineering, the administration, the council, UDOT, UTA, MAG, and other relevant parties, the plan has not yet been reviewed by the Planning Commission and the recently formed Transportation and Mobility Advisory Committee. The resolution gave these bodies a set time frame to complete this task, after which the council will vote on whether to adopt the plan within the next 90 days. Our hope is that, since the plan has already been vetted by so many parties, it will move quickly through these committees and its integrity will remain intact. We appreciate the support of the council. Thanks in part to the outpouring of support from many of you and the work of countless people, from public officials representing Provo city, UDOT, UTA, MAG, and other agencies to hundreds of private citizens who provided extensive public impact during the development of the plan over the last couple of years, there is a wide consensus that Provo needs to create an interconnected trail and lane infrastructure that will make our community safe for bicyclists of all ages to ride. We are particularly appreciative of the support of the mayor, who last night during a proclamation declaring September 9-13 “Bike-to-School” Week in Provo, challenged the entire council to ride to work, as he has been doing several times a week this summer. In short, yesterday represented a brief delay for the plan that we are confident will be adopted intact in a few months. Thanks again, and keep riding. We have a beautiful community in which to do so, and we can/will make it even better! If you’re in favor of a bicycle-friendly and pedestrian-friendly Provo, we need your help now! 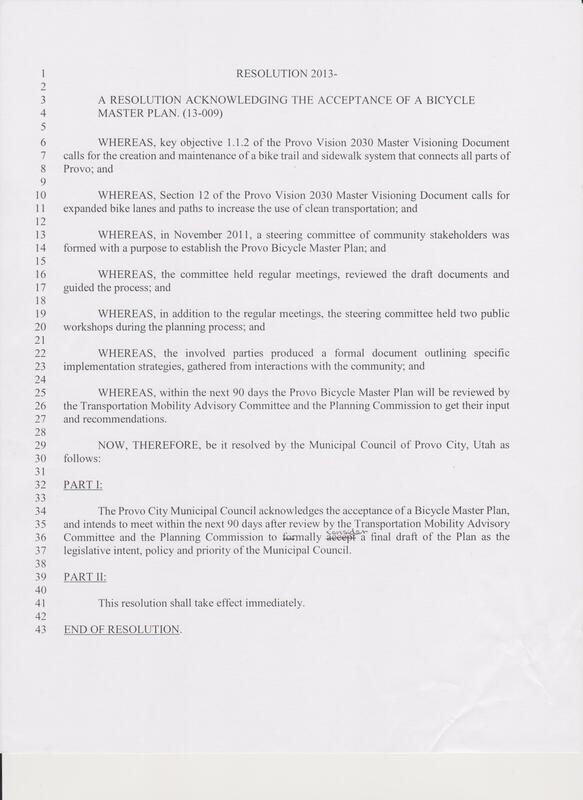 For over a year, the Provo Bicycle Plan has been undergoing an extensive vetting process and it will be coming before the Provo City Council for vote on Tuesday, August 20th. We need your help to get it passed. This new plan will shake things up in Provo. The plan includes extensive lanes, trails, paths, racks, and sharrows (marked and shared auto-bike lanes) throughout the city. It connects existing infrastructure to create a network of bikeways on both city-owned and state-owned streets that connects people with where they want to be. Not only is it expected to improve safety, studies show that bicycle infrastructure increases quality of life, reduces air pollution, and encourages the support of local business. This plan has been a primary focus of Provo bicycle advocates since 2009, and we need your help to get the final draft approved by the council. We can’t do this without you! – Most importantly, call or email the individual city council members urging support for the plan. – Get your friends and family members to call or email the council members. 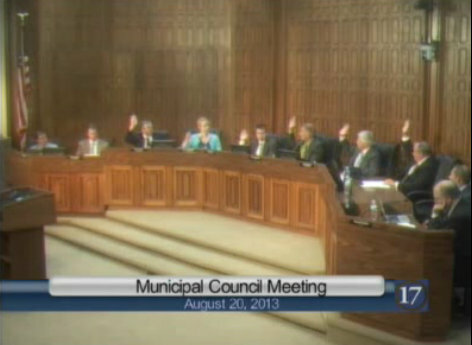 – Show up at the city council meeting on Tuesday, Aug. 20th at 5:30. This specific plan has been carefully vetted for over a year with a huge effort to bring multiple entities to the table. The plan was created with representation from the administration, the city council, city engineering, UDOT, UTA, BYU, the Provo Bicycle Committee, and local residents. This is the first time that all of these parties have been able to create a cohesive plan for bicycling in Provo, and it means that we will be able to proceed not only with plans for our own roads, but connect bicycle infrastructure on city-owned roads to infrastructure that will be created on state-owned roads. The public has been heavily involved with the creation of the plan. Residents were invited to Provo Bicycle Committee meetings discussing an early draft of the plan. Two public meetings were held during which residents were invited to share their ideas and make suggestions regarding plan drafts. Residents were also invited to email their thoughts throughout the process. The plan has already come before the city council for initial review and council members were invited to share ideas at that time and during the following weeks via email to the city engineering department. The plan will improve quality of life, reduce local air pollution, attract quality businesses, encourage the support of local restaurants and retailers, and help solve many of the parking / traffic issues near BYU. At this point, the plan was expected to have been passed months ago but was held up in the committee due to delays. Now, everyone has had a chance to look at it and weigh in. There is no reason for further delay; we need to get this done now. The council has been extremely supportive of the plan thus far, and we appreciate their efforts in working towards a bike-friendly Provo! It’s been a long time since we’ve asked for your help, but we need it now. Please take a few minutes out of your day to be a part of something that revolutionizes bicycle culture in Provo for decades to come. 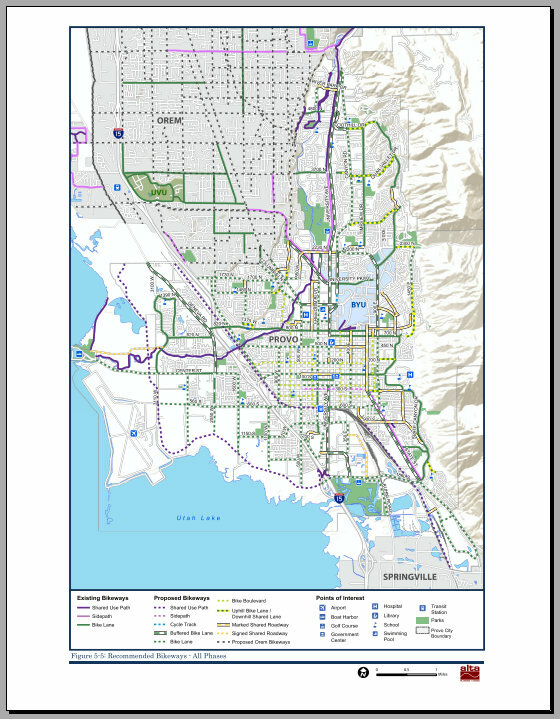 You can see the full Provo Bicycle Plan (PDF) here.